You must have heard the word ‘Creatine’ a lot in the gym while working out or from trainers. It is a form of amino acid that is also produced in the body and plays an important part in releasing energy from the cells. 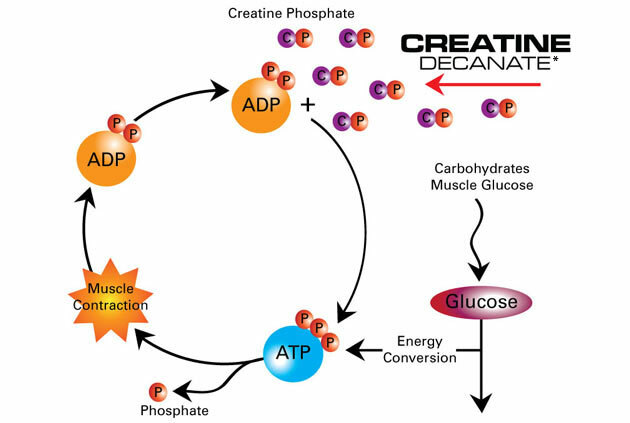 Creatine phosphate aids the generation of adenosine triphosphate also known as ATP that assists in muscle contraction. Oral consumption of creatine may lead to increase in muscle strength and energy in performance. However, creatine is found in raw fish and meat but most of it is destroyed at the time of heating. Creatine phosphate is considered as a storehouse of energy that enables muscle contraction and its consumption provides constant energy for intense physical activity such as weightlifting. Although creatine provides energy but it is suitable only for anaerobic exercises such as weight lifting and resistance training. Cardiovascular activities such as running, jogging are not benefited much from the intake of creatine as per the research and studies. As per the standard consumption pattern, it is said that creatine can be consumed with the beverage of person’s choice. However, individuals who consume it with solution with simple carbohydrates such as any sports energy drink or a fruit juice show better result. While the study shows that it is safe and relatively cheap as compared to other health supplements, there is a lot to be defined about its side effects and supplementation even today. Therefore, it is advised to consult a good physician before consuming any health supplements.